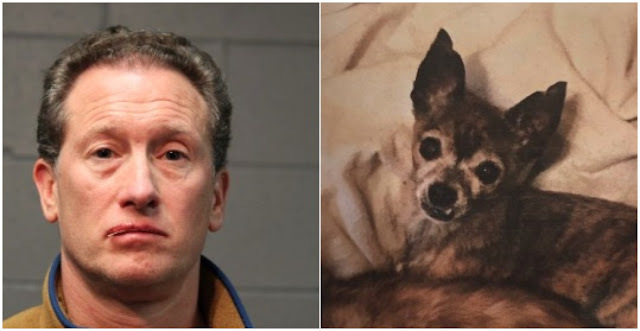 A West Town attorney who was accused of throwing his wife’s two chihuahuas off of a balcony in December has agreed to serve two years of court supervision and pay a fine of $1,719 in a plea deal. Jerald Jeske, 51, pleaded guilty to one count of aggravated cruelty to animals in the deal, which was approved by Judge William Gamboney. A second count of animal cruelty was dropped in the agreement. Jeske allegedly told his wife, “you love those dogs more than you love me. I’m going to kill those dogs” before he tossed them from the couple’s second-floor balcony, police said. One of the dogs died at the scene, and the other went missing, according to police. • One of three adults who were accused of trying to sell a $34,000 one-of-a-kind purse that was stolen from the Mag Mile Christian Dior store last autumn has reached a plea deal. Tishawn Holliday, 20, pleaded guilty to one count of felony theft and received a sentence of two years probation from Judge Alfredo Maldonado. Around 1:30 p.m. on October 8th, 2018, four teenage women or girls entered the Christian Dior store at 931 North Rush Street and began grabbing purses. When a 30-year-old Dior employee tried to stop one of the women, the offender threatened the worker with pepper spray, police said. 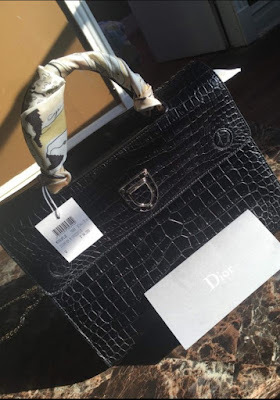 Dior management estimated that more than $67,000 worth of merchandise was stolen by the women, including the $34,000 purse that is the only one of its kind in the United States. Holliday, two other adults, and a juvenile were arrested when they tried to sell the unique bag to an undercover cop for the bargain price of just $9,000. "Brand new bag. Still have dustbag. Everything," said the ad that the group placed on a resale app. Days later, investigators found the unique handbag being offered for sale online and arranged for a meeting to make the purchase in the 400 block of West Roosevelt Road. The other defendants’ cases are still pending in court. • A man who allegedly broke into an off-duty police officer’s garage in North Center last September and then threatened to shoot the victim when he was confronted, has received 18 months probation in a plea deal approved by Judge Catherine Haberkorn. Charges of burglary were dropped in the plea deal. Earlier in 2018, Hernandez unsatisfactorily completed two-year’s probation that he received for stealing a bike from a garage in the 2600 block of North Mildred, according to court records. 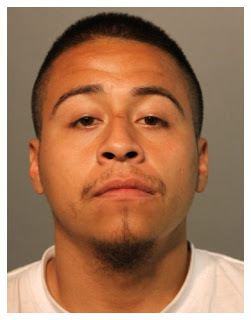 He has been arrested sixteen times in Chicago since March 2014, according to CPD records. 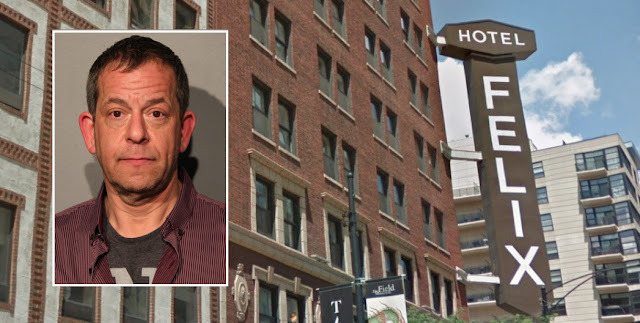 • A 53-year-old man who allegedly set a River North hotel room on fire while doing meth has reached a plea deal that will have him serve three years probation. Keith Myer pleaded guilty to one count of methamphetamine possession in the case, which stemmed from a February 2018 incident at Hotel Felix, 111 West Huron. Forty-one guest rooms were damaged by smoke and water after Myer started the fire by stuffing socks into his room’s ceiling lights, police said. Prosecutors declined to press arson charges because they could not prove Myer's intentions, according to a police supervisor’s report.